Bigger, bolder and more feature-rich than ever, this is a brilliant smartwatch in many ways. It just depends on whether you actually want a digital timepiece - and if you're prepared to pay handsomely for the privilege. The Gear S3 has the aesthetics of a truly premium watch with advanced features built right into the watch design. That's why it's so easy and effortless to use the Gear S3. It's also built for you to go days without needing your phone or to recharge. You get to feel free with the Gear S3.The Gear S3 sets you free from your phone in the most natural way. You only have to turn the bezel to respond to calls, to read messages, to go to that app you need. The Samsung Gear S3 Classic Smart Watch was added to the Smart Watches category in November 2016. 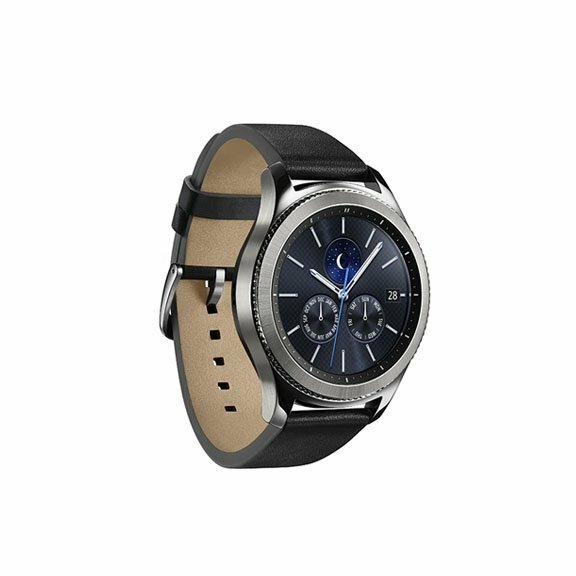 The lowest price GetPrice has found for the Samsung Gear S3 Classic Smart Watch in Australia is $1,003.92 from Amazon AU.